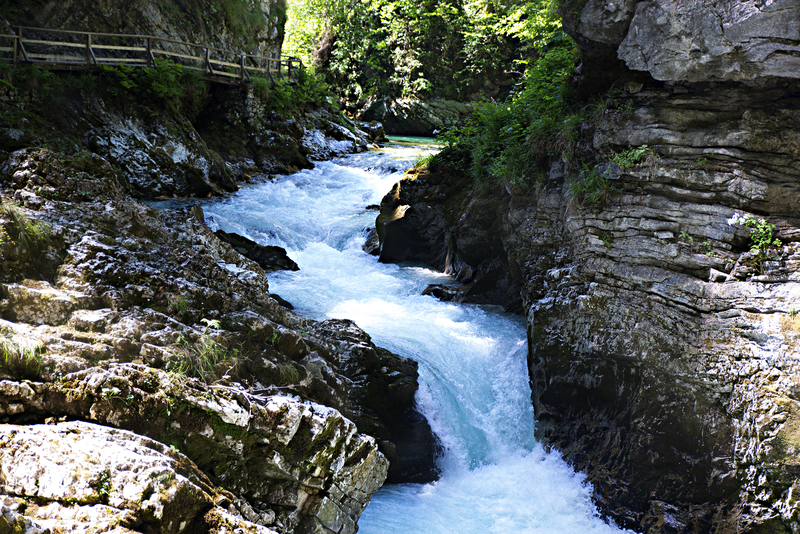 Vintgar Gorge is located in Triglav National Park in northwestern Slovenia about 4km away from the famous Lake Bled. 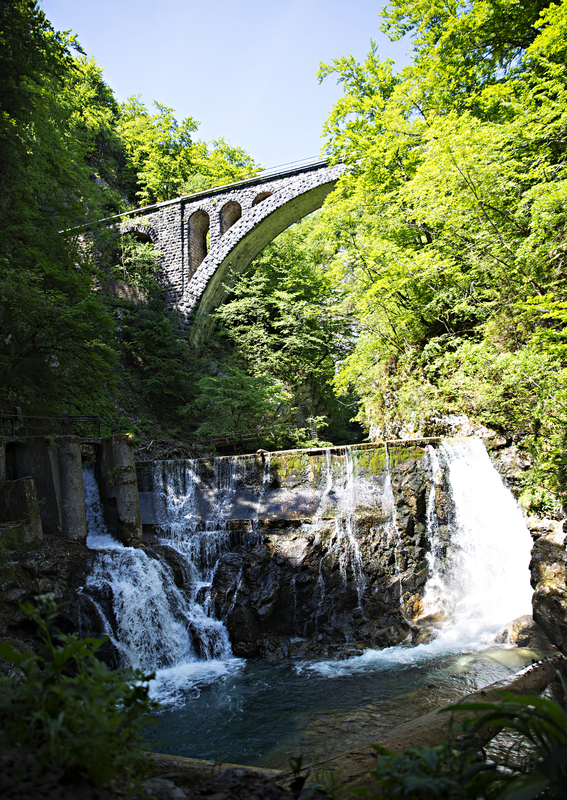 Vintgar Gorge opened to the public in August of 1893, and continues to be one of Slovenia’s top attractions to this day! Cost: 5 Euro for adults, 4 Euro for children the money goes towards the upkeep of the wood walkway. It’s so worth the money PROMISE! Total Time: 1.5 hours with kiddos, and time to stop and take a million pictures! If you feel like you might be going the wrong way, you are more than likely heading in the right direction. 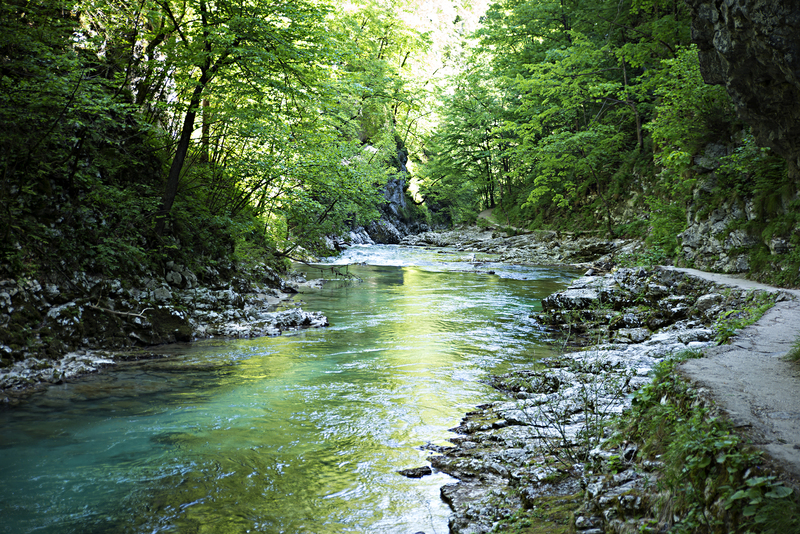 Before seeing the sign for Vintgar Gorge you will first see the sign that you are entering Triglav National Park, you will shortly see signs that are brown with arrows pointing you in the right direction. Follow the arrows and not your GPS at this point. I was a little hesitant to bring the boys with us on this trip! However it proved to be just fine, and they both had a BLAST! The gorge walkway is easy to walk, I DON’T suggest a stroller or wheelchair as there are steps and very narrow turns! I suggest baby wearing or have dad carry the kids on their shoulders (that’s what we did with our 2.5 year old) Our 4 year old walked just fine the entire time! They both had a blast looking for fishes in the crystal clear water. When the trail ends you are stopped by a coffee/rest stop, and bathrooms (HUGE bonus with kiddos) you then will have to turn around and go back the way you came. Below are some of the images I took on our hike!